"I'm really excited to share that we will be initiating the Phase III clinical trial of MDMA-assisted psychotherapy for the treatment of PTSD in a matter of months. MDMA is the psychoactive substance found in the street drug 'Ecstasy'. I am the study coordinator of the Los Angeles study site and the organization that is sponsoring this trial is the Multidisciplinary Association for Psychedelic Studies (MAPS). MAPS has been working for over 30 years to re-legitimize the use of psychedelics in the field of mental health. The introduction of mescaline, psilocybin (in mushrooms), and LSD into the West in the 50's and 60's lead to a revolution in the understanding of the mind and mental health. Unfortunately the political backlash against the use of these substances recreationally lead to discriminatory legislature and a catch 22 legal system putting all the substances in the category of Schedule I, meaning that they have a 'high potential for abuse' (even though none are physiologically addictive) and "no currently accepted medical use" (when there were hundreds of published publications on LSD alone). MAPS has been tirelessly working to move various research on psychedelics medicines through the FDA system to show their efficacy in treating a variety of different conditions (PTSD, depression, addiction, anxiety, cluster headaches, Parkinson's...). 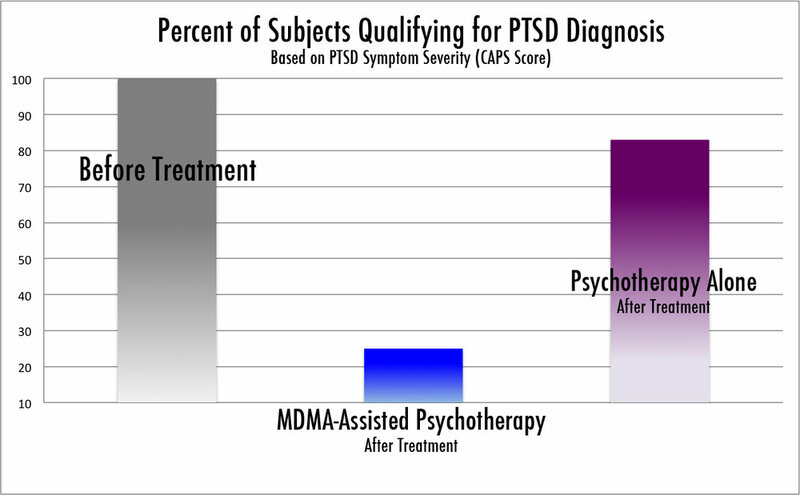 The clinical trial that is the furthest along in this process is the one for MDMA-assisted psychotherapy for the treatment of PTSD. The numbers have been staggering compared to any other treatment: "83% of the subjects receiving MDMA-assisted psychotherapy in a pilot study no longer met the criteria for PTSD." And keeping in mind that all the people in these studies had chronic, treatment-resistent PTSD. We are about to get started with a small Phase II trial to familiarize our team with the protocol then we will begin the Phase III trials in the spring of next year. We are in the process of setting up our therapy room now and we are asking for support from the community. This clinical research is different that pretty much any other in history in that it has been entirely funded by donations. We are not funded by federal research grants, because they won't give money to research Schedule I substances, and no big pharma company will do research on off-patent drugs because the won't make any money. The research is clearly being recognized as valuable since we just gained 'breakthrough' status by the FDA! There are 14 study sites and we have to raise about $25 million to fund this final leg of this study. It's taken MAPS 30 years to get to this point. We have about half of that raised already (with a lot of help from the Dr. Bronners Soap Company!) but we have a ways to go. The team and I would be so grateful if you considered gifting something big or small to us. We are super passionate about this work and its potential to help so many people. To stay up-to-date on the progression of the study, you can subscribe to the MAPS newsletter.